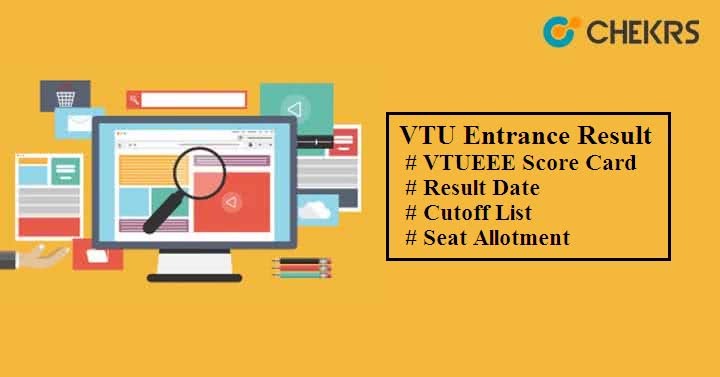 VTU Entrance Result 2019: Aspirants who will successfully appear in VTUEEE will be able to know their score or rank in the entrance exam. It will be available through Online mode only. Vel Tech University (VTU) will conduct the admission test in 2 phases and the result will be announced for each phase respectively. Read the article thoroughly to get more information regarding result and its releasing date. The official authority has announced the entrance exam Result Date for both phases on the University website. Here we have mentioned the date; you can check and download the result on their respective release date. Select Phase I or II. Enter Application no & Date of Birth and then click on “View Result”. You will see your ‘VTUEEE 2019 Result’ on your screen. Save the result for further use and keep it preserve till the completion of admission. Each candidate who will appear in the entrance test will be notified by mail about their rank and marks on their registered email ID. Based on their marks and rank, a separate VTUEEE Merit List will be prepared and uploaded on the official site. Only those candidates who will score the minimum score i.e. Cutoff or closing rank to clear the test will be shortlisted for the next round. VTU will conduct the counseling in two phases to provide admission into the undergraduate engineering courses to eligible candidates only. It will organize in offline mode means students will have to present physically to attend the VTUEEE Counselling. Based on the candidate’s performance in both phases they will be called for the seat allotment. In case you will not attend the counseling round then your seat will be offered to the other candidates as per their marks. You will have to attend the Seat Allotment process with the allotment letter and other necessary documents. In case of any query, leave your message related to the VTUEEE Result in the message box below. We will respond to your query very soon.